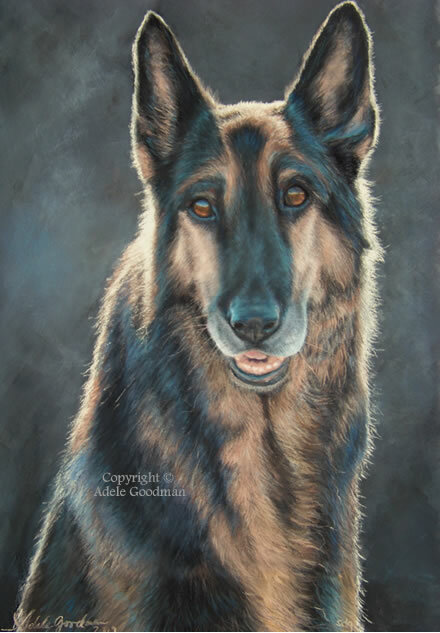 "Everything you need to know about an animal is in its eyes... they are the windows." Introducing "Adelle", a Cabernet Sauvignon from Cauble Creek Vineyard. This is the first collectible wine bottle from CCV with a beautiful 2-D label featuring a local Artist's work. 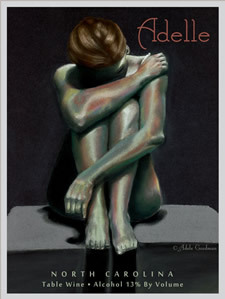 The label showcases my figure study, "Solitude"; Giclee prints are available upon request. The vineyard asked if they could name the wine after me but unfortunately, "Adele" was copyrighted so I told them to add an extra "l". The wine is wonderful - peppery, full bodied and very smooth! An exhibit of 20+ local artists that is sure to please!